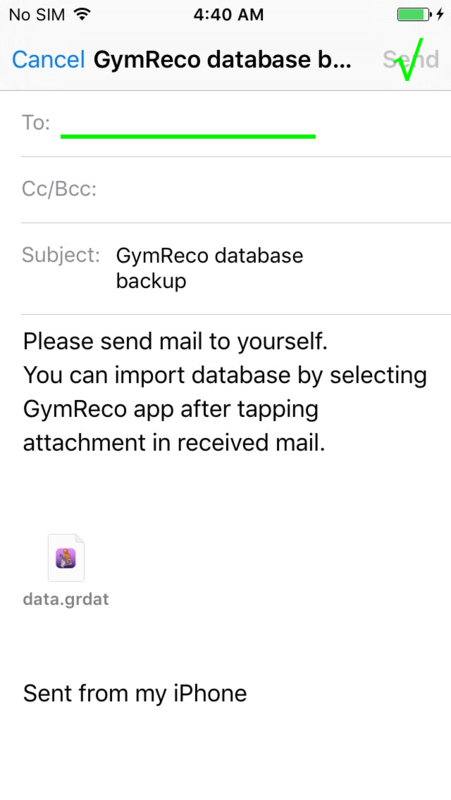 If you set iCloud backup, your workout record database is backup as contents of this app. 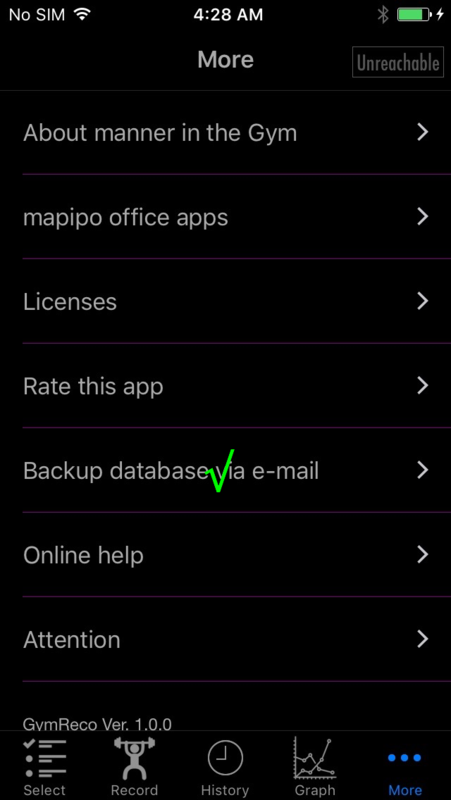 However, this app also supports standalone database backup via e-mail. 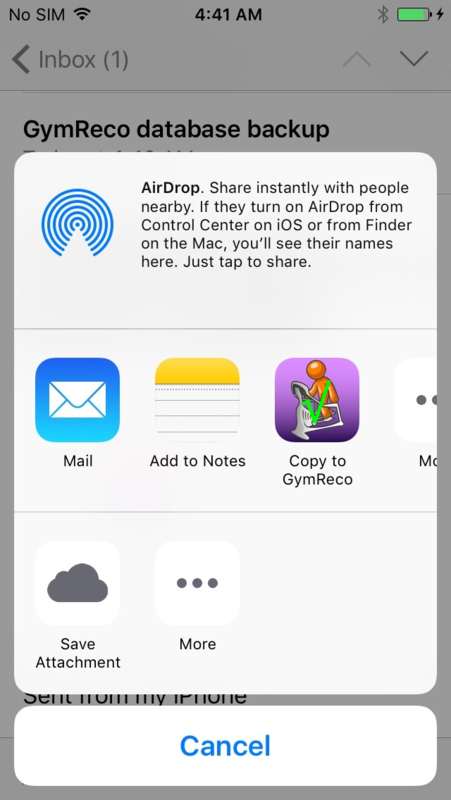 To open this page in iPhone’s Safari and tap here, or do below action. Send mail to yourself. 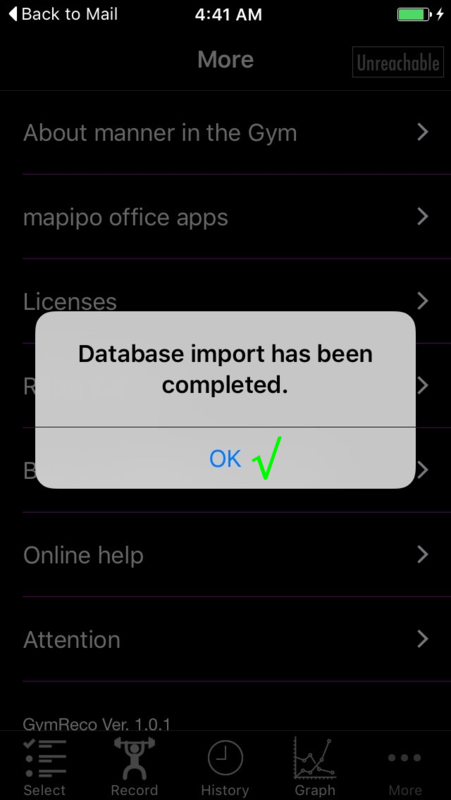 Attached is the backup data. 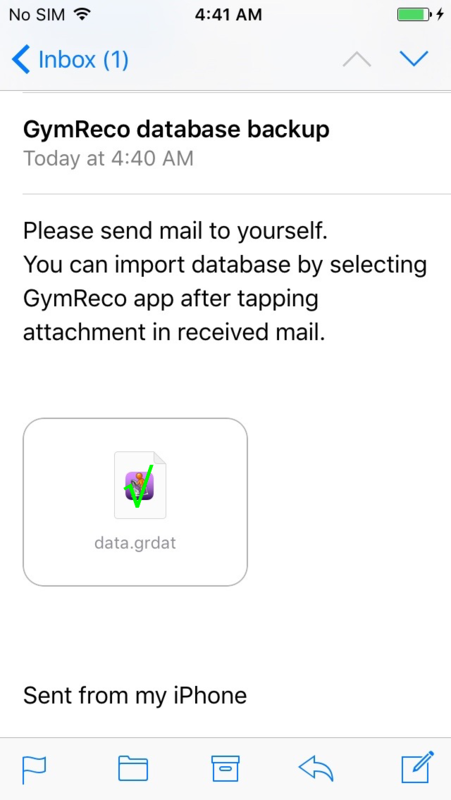 Open mail and tap attached. 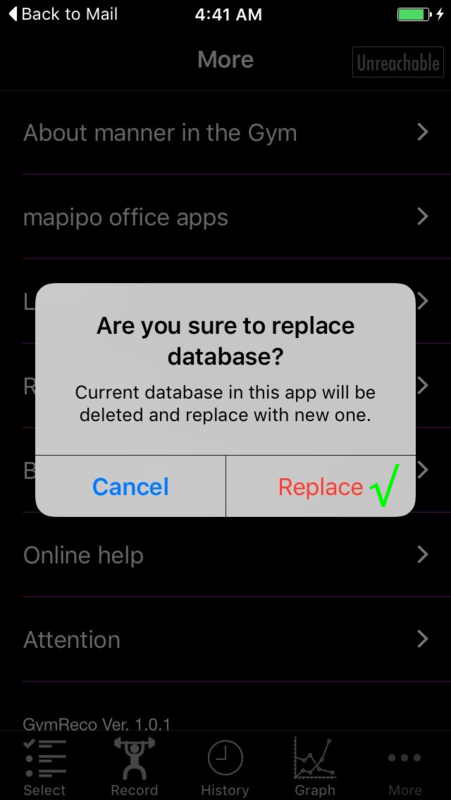 Note that current database will be deleted and replace with this attached database.